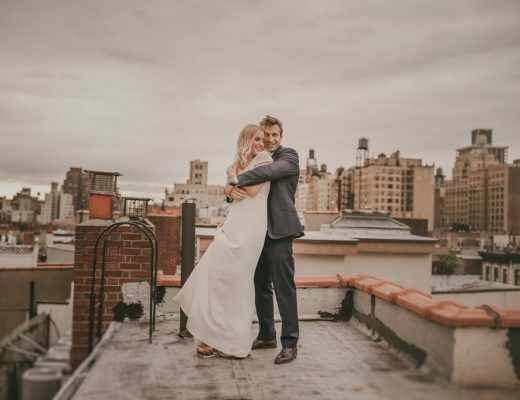 Once again, The Creative’s Loft planned and styled a stunning Elopement Wedding for these two love birds. 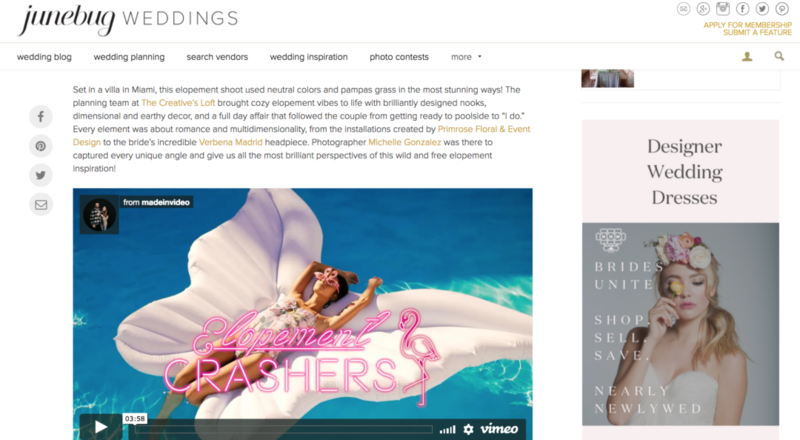 Featured on Junebug Weddings our Miami Elopement, we can’t thank you enough to their team!! A beautiful day put together by the best Wedding Team ever in Miami, FL. 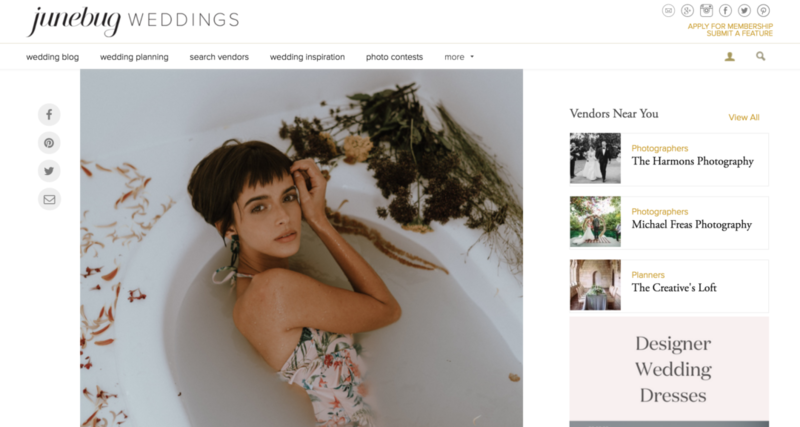 Wedding Planning & Styling was led by Adriana Cadet, founder and owner of The Creative’s Loft. Photographer Michelle Gonzalez, did a breathtaking job taking all the details and capturing the love. Together with the amazing Filmmakers Made in Video, brought from Spain, to film this badass wedding film. 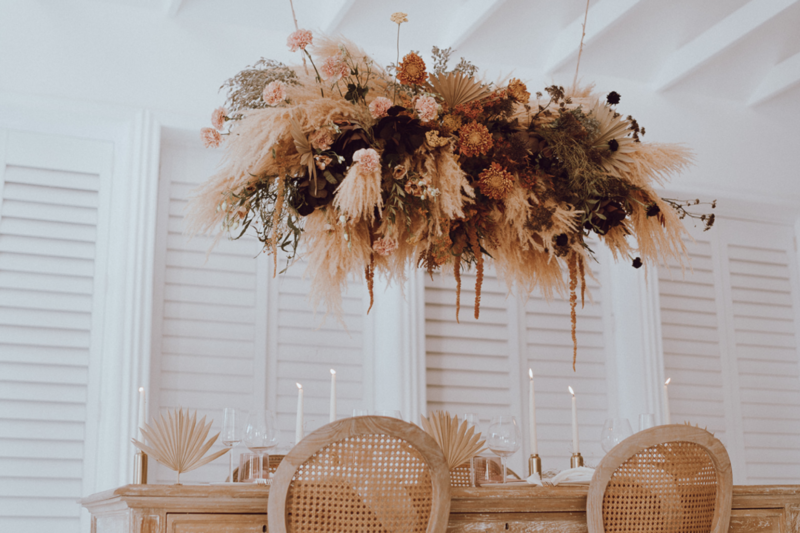 The stunning Floral Design was done and executed by Primrose Floral + Event Design Team. Table Tops by Pialisa and Stationery by Papel N Co. Bridal Dress from designer Rue de Seine provided by Lovely Bride combined with the stunning headpiece from Verbena Madrid. 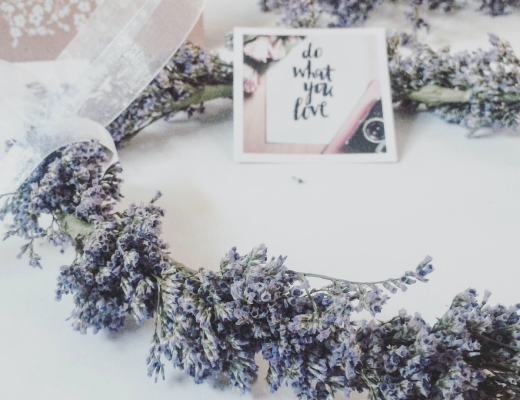 Muah Services by Bellelite & Desserts by Earth & Sugar. Everything took place at Magic City Studios Miami. 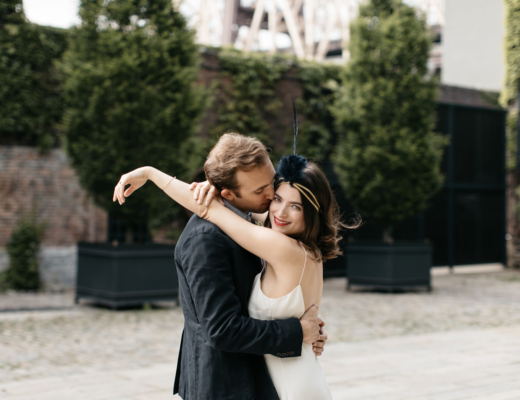 Do not miss our last Wedding Elopement!